Mr. PaarthGarg, a MBBS 3rd year student got selected for International Research Exchange Program’2017 organized by International Federation of Medical Students Association (IFMSA). Mr. Garg will spend 4 weeks in IFMSA's SCORE designated medical college. PaarthGarg will be representing India at Italy in May 2017 in this Exchange Program. In past, he also presented his research paper at University of Manchester, United Kingdom and Bangladesh. The IFMSA Research Exchange Program gives medical students the opportunity to deepen their knowledge on a specific medical topic and to facilitate their access to foreign clinical or basic-science research perspectives. Furthermore, it is a unique opportunity for a foreign medical student to participate in research abroad in order to compare differences in research attitudes, medical education, as well as healthcare in general. 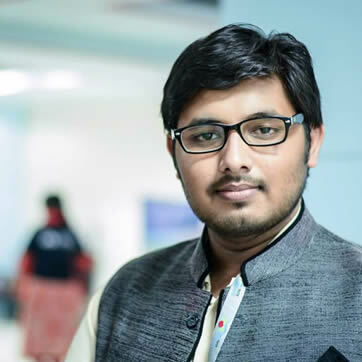 At present, Mr. Garg is working as a part-time Research trainee at Dr. Syed ShadabRaza’s lab on stem cell migration in chick embryo, and his next goal is to pursue a MD programme either from USA or Europe.